Oh Fall.. the changing of leaves, football, pumpkin spice, cute boots and cardigans, and a renewed sense of introspection and preparation for the upcoming winter months. Fall is also the perfect time to kick start your skin care routine to prepare for the upcoming changes in the weather. Autumn brings cooler weather and a drop in humidity, which makes for dry, stale air and even drier skin. Mix this with dehydrating heat from our furnaces and it’s a setup for skin disasters, like eczema and parched, itchy skin. Just as the leaves are changing and “shedding,” our skin does the same thing. 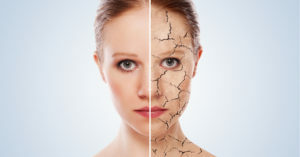 Enzyme peels are a wonderful way to kick start the new fall season by treating the discoloration and damage brought on by the summer sun and the autumn’s drying elements. ARCONA enzyme peels use fruit enzymes such as pumpkin, raspberry or papaya, to fight free radical damage which can cause premature aging, by removing the top layer of skin and exposing new, healthy skin. At Elixir, all of our peels are customized specifically for your skin type, and even the most sensitive skin types can benefit from the process. You can absolutely transform and rejuvenate your skin by improving the tone, texture and clarity with an enzyme peel. There is no pain and no social downtime, which means you will be ready to show off your new look right away! An enzyme peel is a great way to get you in the routine of regular facials that stimulate your skin health and allow you the downtime you deserve. Facials are not only beneficial for your skin, but they provide an atmosphere to relax your mind and body to promote whole body wellness. 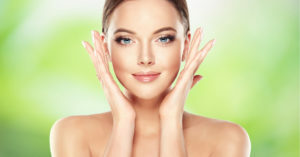 At Elixir, we excel in facial massage techniques that will put you into a blissful state of relaxation and we only use effective, active, natural and organic product lines that you can trust to be good for you and the planet. You deserve an hour a week or a month devoted to improving the quality of your life by caring for your mind, body, skin and spirit. Post peel, we suggest a regular regime of facials and ARCONA Skincare at home to maintain the work we do together. Your esthetician won’t always suggest a peel, unless she is treating a specific condition, but she will always recommend treatments that will serve you in the long term. As always, never hesitate to ask your Elixir Esthetician questions during your session, and let’s get excited about the changes we can make in your skin. Fall is upon us and a new you is on the horizon. Reserve Your Next Facial Now!